Frank James Solomon will let nothing get in the way of his dream of being a pro surfer. He battles waves, attacks problems head on and busts down barriers. His many complex facades are a source of intrigue for our narrator, an inquisitive aristocrat. Our conspirator guides us through mirrored worlds of fact and fiction, proposing wild theories and exposing a realm that lies somewhere between reality and what we are continuously told to believe. 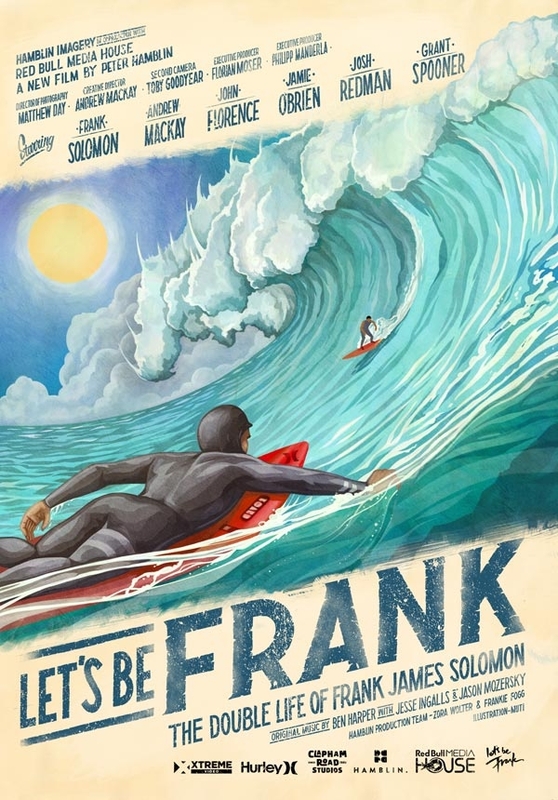 Let's Be Frank draws together a cast of iconic surfers, including John John Florence, Jamie O'Brien and Pat O'Connell, with actors such as Cokey Falkow (Penny Dreadful) and Michael Redmond (Vikings), to tell a genre busting, multi-layered story of big wave hold downs, back street beat-downs and North Shore show-downs. Up-and-coming Director Peter Hamblin has produced a trademark visual feast combining stunning cinematography with a fast-paced, edgy storyline. Juxtaposing a stylized 50s colour palette with the crisp clarity of the coastal landscapes from South Africa's Cape Town to a Mexican Pipeline, the gnarly North Shore of Hawaii to the Irish seaside resort of Bundoran, this feature film takes you on a journey across the globe and to the edge of reality. 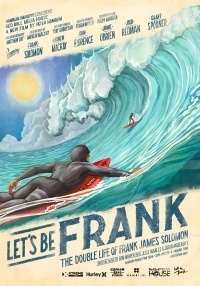 Featuring an original score by three-time Grammy Award winner and surfer Ben Harper, with Jesse Ingalls & Jason Mozersky, Let's Be Frank is an immersive experience navigating through the perceived worlds of one of the world's most respected chargers on the planet. Frank Solomon is not your average surfer, and this is not your average surf film.